Cheetos are the ONLY snack she routinely says "please" for, she even signs "please" while saying it to increase her probability of receiving one. This is so cute that she is guaranteed to receive Cheetos. BTW - Many Cheetos flavors are Gluten free, etc. Check out the info. 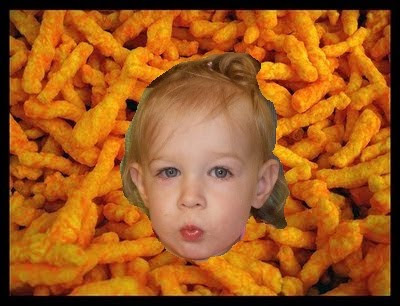 hmmmmmmm, I love Cheetos too!